On January 18, FIA members participated at a technical meeting with State Tax Service and discussed the opportunity to develop an electronic report, that would provide corporate taxpayers the possibility to view fiscal invoices issued (declared) by their suppliers to these taxpayers. The meeting was organised at FIA executive management request. 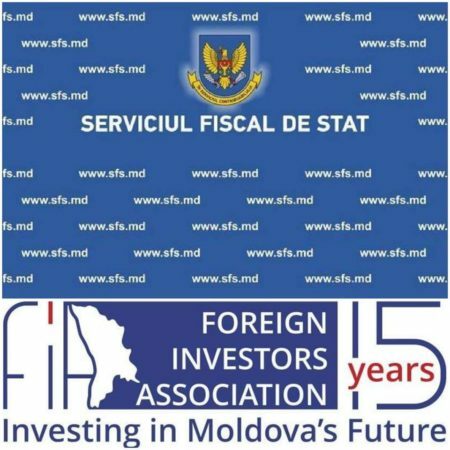 Foreign Investors Association (FIA) is a non-profit, apolitical association from the Republic of Moldova, founded in September 2003 by the largest companies with foreign capital in the country, covering the whole range of fields of activity of the economy — agriculture, industry, banking sector, telecommunications, distribution and audit. © 2019 Foreign Investors Association.